After Bittrex controversial cancellation of RAID token’s Initial Exchange Offering (IEO), it did not stop the Singaporean based cryptocurrency exchange, KuCoin, to launch its first Spotlight project called MultiVAC. IEO has become a trending concept to native tokens of major crypto exchanges like KuCoin’s KCS that reportedly has gained 15.17 percent over the past 24 hours after hosting their first project on Spotlight or their IEO launchpad. The MultiVAC project is the first of its kind that is hosted on the KuCoin Spotlight platform and is set to happen on April 3rd. Multivac is a fully sharded blockchain that has already accumulated a USD 15 million war chest from round A investments from a group of prominent blockchain project investors including Arrington XRP. The sale will be for 600,000,000 MTV tokens, worth ~USD 3.6 million, with each token initially selling at USD 0.006. The IEO sale will be for 6% of total supply of MTV tokens and tokens will be allotted on a first come first serve basis and will only be accessible with KCS. 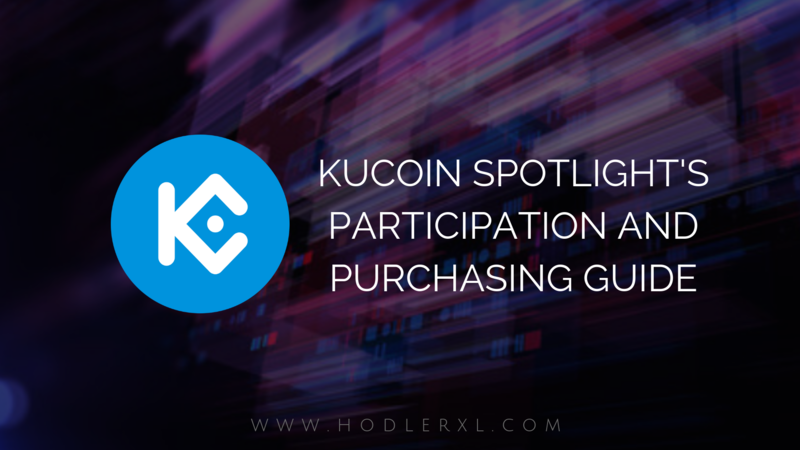 To participate in any of KuCoin Spotlight project, users can start by clicking the ‘Spotlight’ tab on KuCoin’s official webpage. To participate in the Token Sale of Spotlight, first, users are all needed to complete identity verification (KYC). All users are also required to set up a trading password to ensure that their accounts are secured. United States of America, Bahamas, Botswana, Cuba, Democratic People’s Republic of Korea, Ghana, Serbia, Tunisia, Somalia, Zimbabwe, Pakistan, Nicaragua, Republic of Macedonia, South Sudan, Sudan (north), Sudan (Darfur), Iran, Iraq, Libya, Syria, Eritrea, Canada, New Zealand, Thailand, Japan, Mainland China, Ethiopia, Yemen, Côte d’Ivoire, Democratic Republic of the Congo, Sri Lanka, Afghanistan, Albania, Belarus, Bosnia & Herzegovina, Burundi, Central African Republic, Guinea, Guinea-Bissau, Lebanon, Liberia, Myanmar, Uganda, Ukraine, Trinidad & Tobago, Venezuela, and Tunisia. To purchase, only KCS is approved as a payment method. They recommend that users purchase KCS in advance to guarantee that they have sufficient funds in their trading account (not Main Account). All the above steps can be performed on the Spotlight page before the start time of the Token Sale. 2. If the activity has begun, users will be capable to select the purchase amount and click ‘Purchase Now’ to join the token sale. 3. To validate the purchase, users are required to input their trading password, then check the amount and total price before clicking ‘Purchase Now.’ Once the order proceeds successfully, there will be a message confirming the purchase. 4. To check users’ purchase history, they can just visit ‘Purchase History’ in the upper right area of the website.